Explanation: The New General Catalog of star clusters and nebulae really isn't so new. In fact, it was published in 1888 - an attempt by J. L. E. Dreyer to consolidate the work of astronomers William, Caroline, and John Herschel along with others into a useful single, complete catalog of astronomical discoveries and measurements. Dreyer's work was successful and is still important today as this famous catalog continues to lend its "NGC" to bright clusters, galaxies, and nebulae. 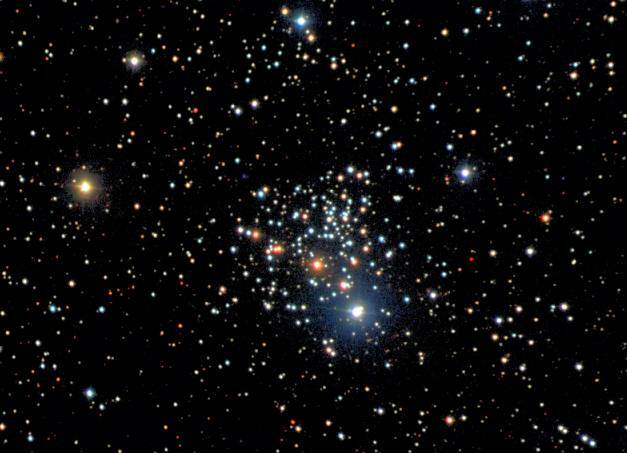 Take for example this star cluster known as NGC 2266 (item number 2,266 in the NGC compilation). It lies about 10,000 light-years distant in the constellation Gemini and represents an open or galactic cluster. 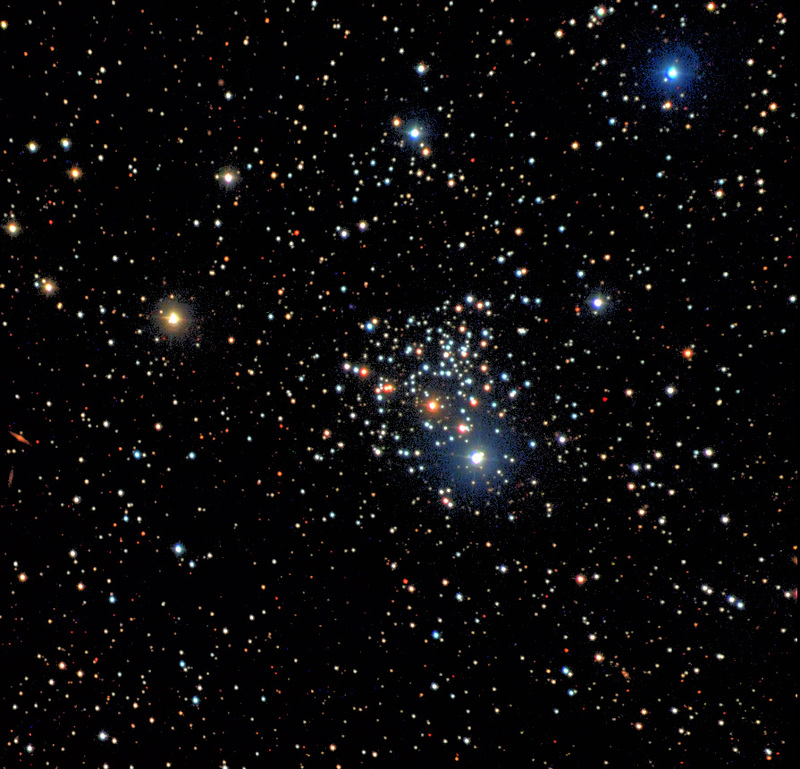 With an age of about 1 billion years, NGC 2266 is old for a galactic cluster. Its evolved red giant stars are readily apparent in this gorgeous three-color image.